Most authors find themselves in an industry utterly inundated with all sorts of competition. There are enormous numbers of other writers competing within the print and online publication industries and as such, it requires everything you have as a writer to stay ahead of the curve: and even then, it cannot be enough. There are a whole host of pieces of advice for writers in trying to improve themselves, in a variety of different areas. One tool that is deeply underexplored by writers in search of improvement is the book club. Joining a book club actually has a range of benefits to a writer, many of which won’t necessarily have occurred to you. But there are a lot of things about book clubs, and the stereotype of book clubs, which put people off from joining them, especially people who already consider themselves embedded in the culture of reading and writing. The disclaimer that needs to be stated at this point is that there is very much a spectrum in terms of quality, when it comes to book clubs. And this is not an article intending to tell you to join the first one you stumble across. You have to find the right one for your purpose. So, without further ado, here are a few ways in which joining a book club could be your golden ticket to self-improvement as a writer. Many of the people I talk to on a daily basis, other writers themselves, read far less than they think they do. But it’s always clear when you meet writers who are truly avid readers. Joining a book club force feeds you literature. It is impossible to be an active member of a club and not have to hit a certain quota per week. This degree of regimentation can be beneficial for writers, whose career choice tends to make their lives flow rather free form. And the more you read, the better you’ll write, in the end. Reading books is one thing, but actually analyzing a text is an altogether different, and additionally helpful, skill/task. It may be that you thought your days of analyzing texts were done when you finished your BA in English Literature. But the fact of the matter is that, if you are a writer yourself, then analyzing other people’s writing is an excellent way to fast track the advancement of your own skills. A weekly book club will not only get you to read books in a timely and consistent fashion, it will also have you honing your analysis skills. If you can analyze other texts, then you can apply that same skill to your own work, which will help you enormously in the editing stage. Get involved in the discussion and train your analysis and understanding muscles on a weekly basis. Once you are old enough to call writing your job, rather than your hobby, you’re probably at the stage where your taste in literature is pretty established and your influences pretty well understood. “Stagnation in your tastes and your intake can be crippling to a writer”, writes Kevin Champ, blogger at Revieweal and OXEssays. 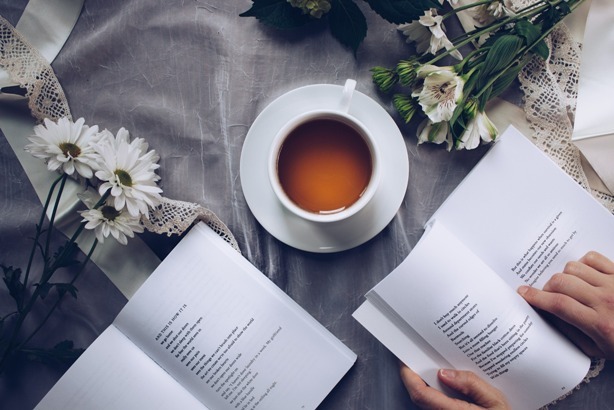 “Writers block is so easy to run into, and without a constant and always-shifting stream of outside influences, it can be extremely hard to overcome.” If you join a book club, you are no longer in control of your whole reading list. If you write within a certain genre and you read only work from that genre you are missing out on the enormous amount of valuable material there is sitting beyond your reach. There’s a very good chance that a book club will introduce you to a work a week that actually goes on to inform your understanding of the work you already have an interest in. It will also be fairly likely that that introduction will add value to your own writing, as you learn to incorporate disparate influences into your work. Marketing, and the financial side to writing in general, are in some ways a bit taboo in the writing industry. Writing is a sort of highly flexible art form, in which you can act as a pure, unadulterated artist, or a cog in a larger corporate machine, depending on your field. But if you are a standard author, you are likely somewhat reluctant to have to discuss the tricky ins and outs of marketing a book and finding an audience for it. One of the trickiest parts about being a successful writer is finding your audience. Attending a weekly book club will put you in the same room as readers every single week. This is actually a valuable opportunity for you to do a little bit of your own market research. You can look to see what people like and don’t like, what sort of books are appealing to people in the present moment and which classics have found their place in the modern cannon. Doing this is undoubtedly going to help you as you go about crafting your own work and trying to find an audience to sell it to. The writer’s life can be a lonely life, with the majority of the work required of you being able to be completed within the comfort of your home and limited opportunities to work in a team or even work in a space where you can meet people and interact. Given the points above, joining a book club can be understood as just another part of your career. But it is unique in the way in which it is also an enjoyable and socially interactive pastime: getting together with some other people passionate about reading and enjoying a book together over some coffee and snacks. You’ve got a chance to develop relationships, read more and improve yourself as a writer, which is three birds with one stone if you ask me! Book clubs often have the stereotype of being dry affairs, with punishingly puritan ideas surrounding making sure you’ve read the book as well as boasting a clientele almost entirely comprised of retirees. And, as I mentioned in the beginning, there isn’t anything to say that you won’t try a book club and absolutely hate it. But, all of that being said, hopefully this list has demonstrated to you a lot of ways in which your writing, your capabilities and your life as a whole can be greatly improved by a book club. So, get out there and start going to some. The worst that can come of it is you have to read a new book each week which is not bad at all for a writer! Grace Carter is a book editor at Boom Essays and Essayroo services. She helps new authors, leads a book club and works with manuscripts. Also, Grace teaches academic writing at Dissertation Help website.